The Pennsylvania Renaissance Faire grounds are perfect for cyclocross, with ample parking, food and beverages, and a course which is destined to be racers' and spectators' favorite. The unique atmosphere will be pared with several course surprises sure to wow everyone. Every racer will get in the pirate spirit! Aaarg! Raise the Jolly Roger and prepare to 'cross cutlasses as you join us for Swashbuckler 'Cross. Swashbuckler Cross is part of a NEW Brewery Cup Series with a team competition which awards the winners their weight in beer! More details to come! 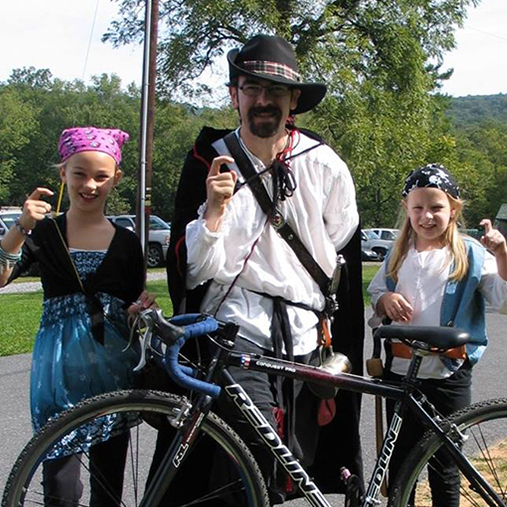 The course will run in and around the fabled grounds of the Pennsylvania Renaissance Faire and the Swashbuckler Brewing Company. Grab yer hearties and join the raid—it's an event not to be missed! Can't get enough Cyclocross? Participate in Stoudt's Cross on November 3, 2019 in Adamstown, PA. The annual race takes place on the grounds of Mount Hope Estate. The Pennsylvania Renaissance Faire grounds are perfect for cyclocross, with ample parking, food and beverages, and a course which is destined to be racers' and spectators' favorite. The unique atmosphere will be pared with several course surprises sure to wow everyone. Every racer will get in the pirate spirit! If yer wooden leg has termites and yer still itchin' for more information regardin this event, cast a line to Michele Bote — MKBote@Gmail.com. Ye best be sure to follow our race on Facebook for all the latest news, pics and course previews! Same-day registration opens at 7:30AM and closes 30 minutes prior to each event’s posted start time. The day-of registration service charge is $10.00 (so preregister and save those pieces of eight!). Multiple Race(s) additional $10 for each category. All riders must have a valid 2018 USAC racing license and a sign a USAC event release form. Unlicensed riders may purchase a One-Day license on the day of the race for an additional $10; all others need a USAC (or other international federation) annual license. USAC annual license renewals will be available at the race for an additional $70. No mail-in registration. No Refunds. Proceeds support Full Circle Susquehanna, Inc. a local non-profit dedicated to the empowerment of women and girls. *Please Note: 70+ will start with 60+, but scored separately for PACX points. Please check back closer to the event for updated 2019 information. We have a unique cycylocross course admist a fantasy of bygone days and knights. It's a Renaissance village with a combination of pavement, grass, cobble-stone sections, and planks to walk. There be a good bit o'twisty technical turns with some hornswaggling hills. The 2-sided pit has hose access for swabbing of the decks. The course will be similar to 2017 with some minor changes with the start area and whoops locations; making the event more spectator friendly so bring the family, friends (in costumes) and cow bells to have a Renaissance Grand time! There is plenty of free parking within walking distance of the Festival Grounds. Please follow the signage when you arrive on site. Various hotels in the area are available. Please visit our In the Area Page for specific information. Yes! 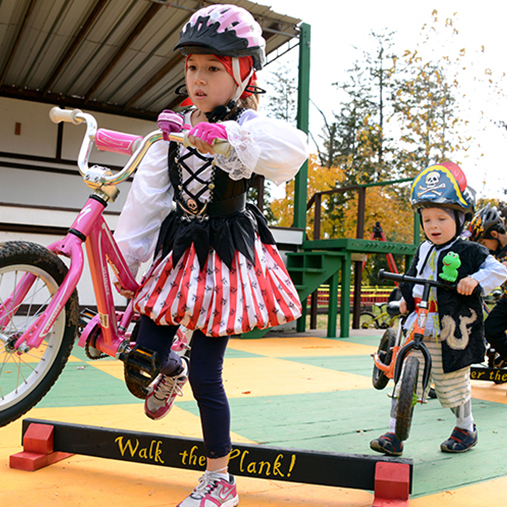 This festival is family friendly and there is even a special race just for the kids! For the well being of all our guests, smoking is prohibited under all stage areas. Your cooperations is appreciated for the comfort of all in attendance. The event is located on the grounds of Mount Hope Estate, home of the PA Renaissance Faire. The street address is 2775 Lebanon Rd. Manheim, PA 17545. Races begin at 9AM. Do I have to have an admission ticket? Spectators do not need an admission ticket to gain access to the Faire Grounds. If you are participating in the day's races, please visit the registration page to pre-register. No, Swashbuckler Cyclocross is a rain or shine event. Can I warm up on the course? 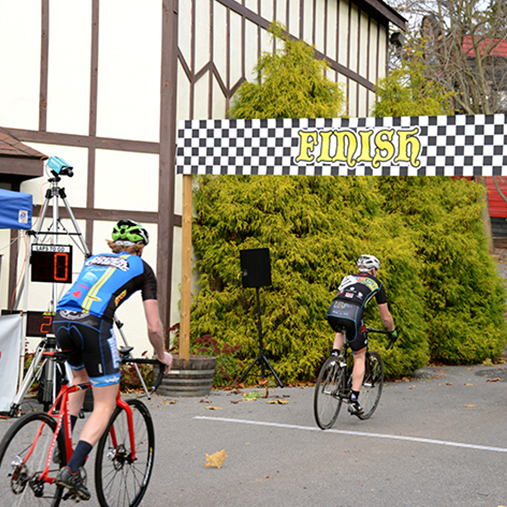 The course will be open at 7:30AM for pre-riding / inspection on the morning of the race only. Warm ups begin approximately 15 minutes prior to each race. DO NOT warm up on course when the previous race is still going! Racers choosing to ignore these rules regarding warm ups will be disqualified and forfeiture of entry fee will result. Does the phrase “keel hauling” mean anything to ya? What is the Call-Up Protocol? Call-ups shall be based on 2018 PACX Series overall standings. You must pre-register to receive a call-up. Knaves and wenches with peg legs and eye patches get special recognition. Riders must be in the start area 10 minutes prior to the start of each event. If you miss your call-up, you’re in the back with the bilge rats. NOTE: If you are ranked, but do not pre-register, you forfeit your call-up placement and will be placed on the start grid behind the last pre-registered riders. What is the lapped riders protocol? Lapped riders will finish on the same lap as the leaders. Riders in danger of being lapped must yield to oncoming racers and are not to interfere with their progress or trail behind them. Lapped riders may be pulled at the discretion of USA Cycling officials. Savvy? 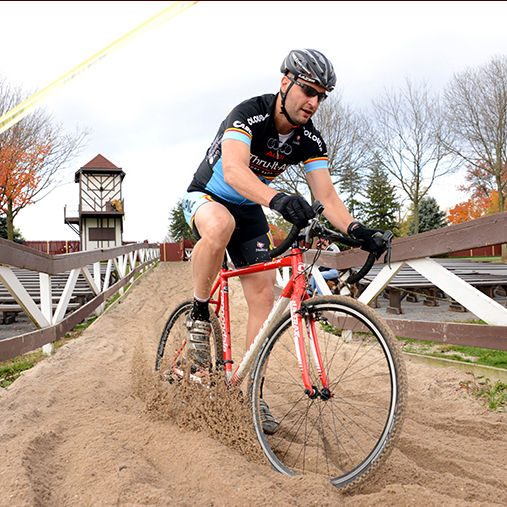 All USAC Cyclocross rules apply. The event shall be held rain or shine and insurance is under USAC permit pending.